Finally !! The day has arrived when “all” the glass is installed. The guys have had a busy day. First the plasterers arrived and set to work applying the plaster skim over the plaster board. Soon after the fitters arrived and set about removing our kitchen window and door. No pictures of this stage. During the morning we left the crew working while we headed over to Salisbury to procure some furniture for when the conservatory is completed. While we were away the plumbers arrived, removed the radiator, capped off the hot water supply and connected the cold water supply for the utility room. Removing the radiator will allow the plasterers to cover the wall with plaster board. There will not be any exposed brick this time round. Been there, done that, don’t want to do it again. Ever !! 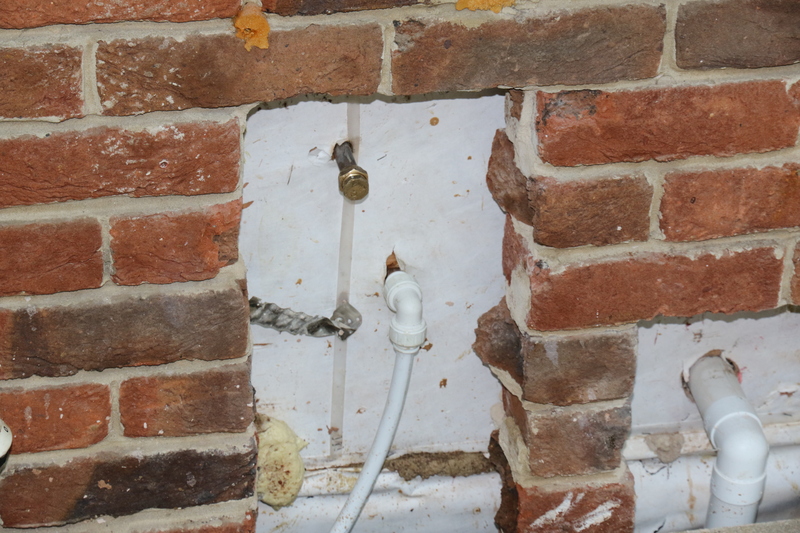 Conservatory – Old, redundant hot water supply pipe is capped. 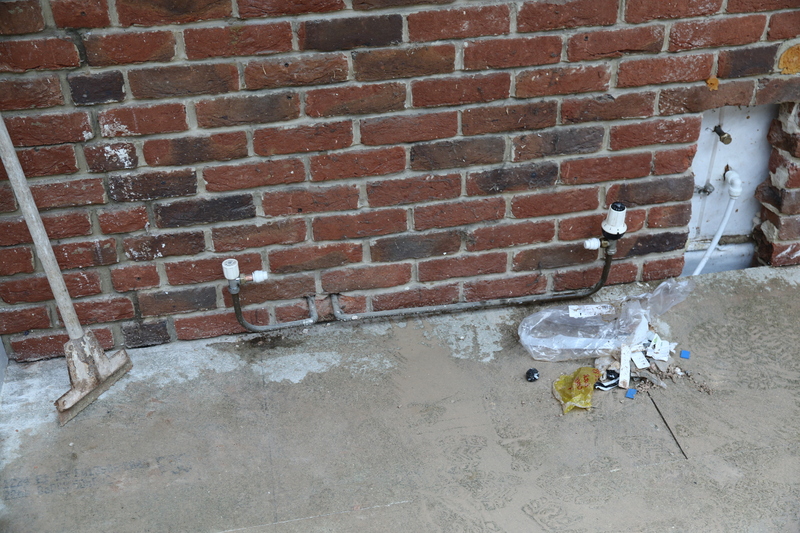 New cold water supply line is connected. 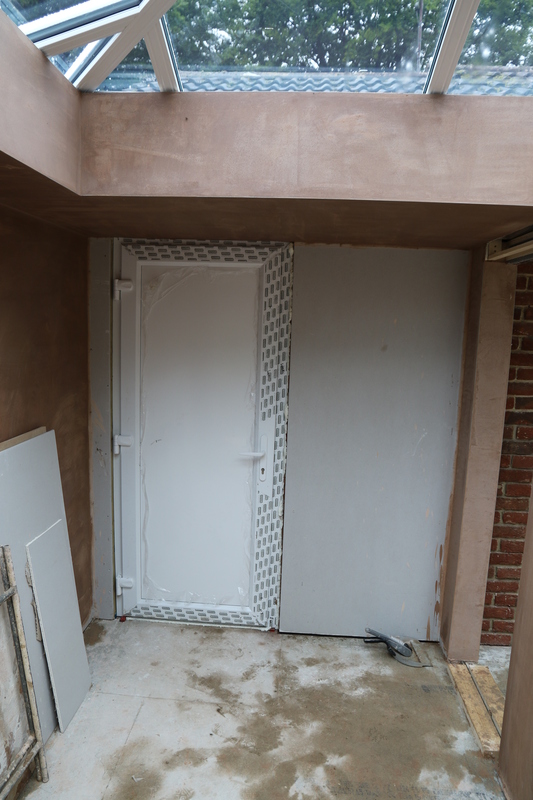 When we arrived back from Salisbury the kitchen door and window were in place. Not only that but so was the new garage door. That was a surprise as nobody had told us that the door had been made yet. 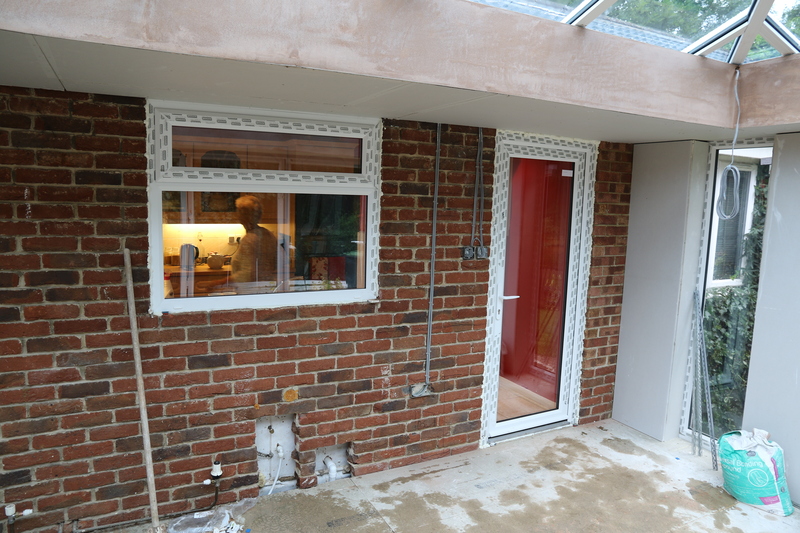 Conservatory – New kitchen door and window. 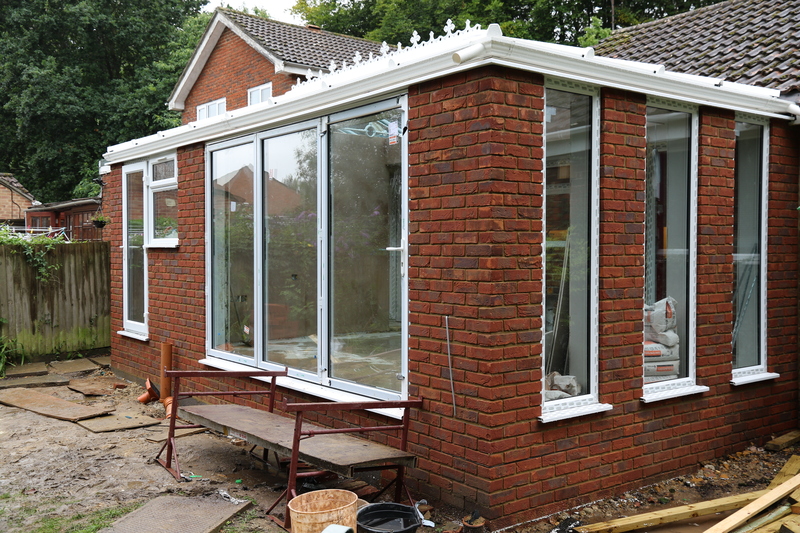 Conservatory – New garage door. Just when the guys were cleaning up from the door and window fitting another van pulled up onto our drive. Whoohoo !! 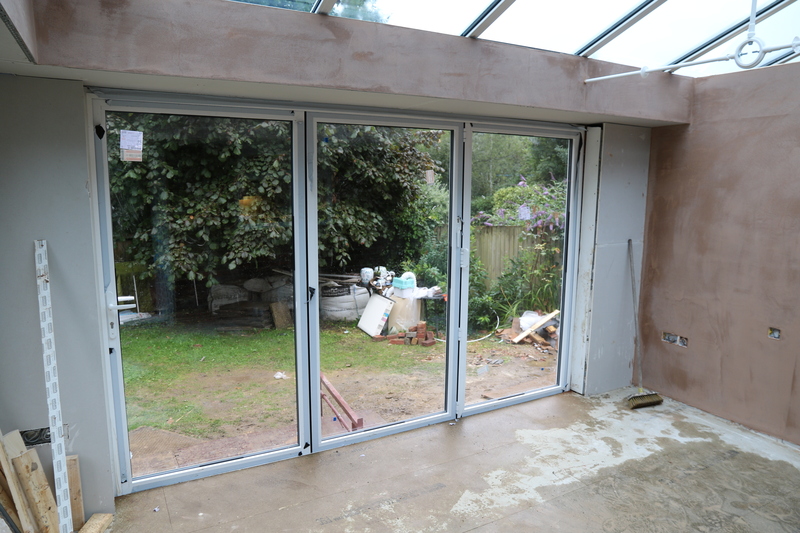 The bi-fold doors had arrived and were duly installed. The doors are in and functional but not finished. The glass is in but not all the seals have been fixed. Just sufficient to hold the glass in place overnight. The sealing will be completed tomorrow and other trim will also be installed. And, no, that is not our new decking. Unfortunately, this will be the last of my daily posts regarding the conservatory rebuild. We are away for a few days, going up north for a wedding. Then going further up north to visit with friends. 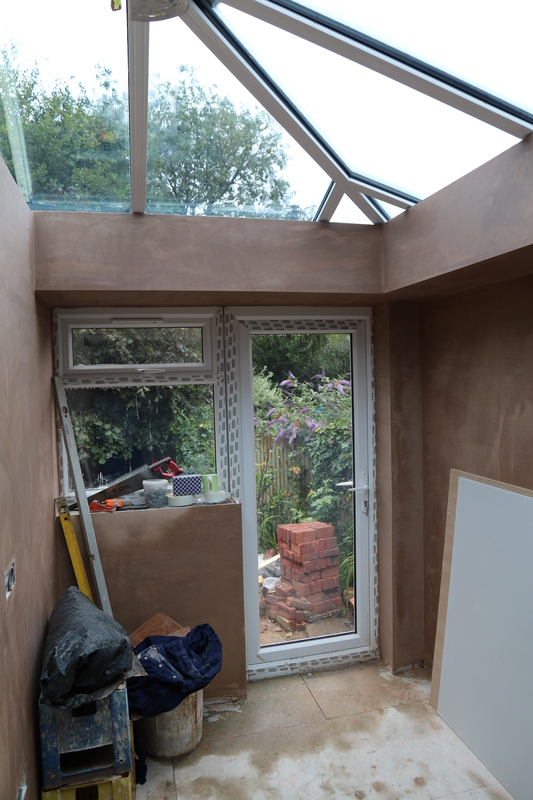 While we are away the work will continue and, I hope, the next post on this subject will present to you the finished conservatory. Lets hope the surprise is a pleasant one. This entry was posted in Local (To Me !!!) and tagged bi-fold, conservatory, door, Executive Windows, garage, glass, radiator, Salisbury, seal, window. Bookmark the permalink.